I grew up in Silver Spring, MD with a cherry tree in my front yard, and every spring its blossoms captivated me. 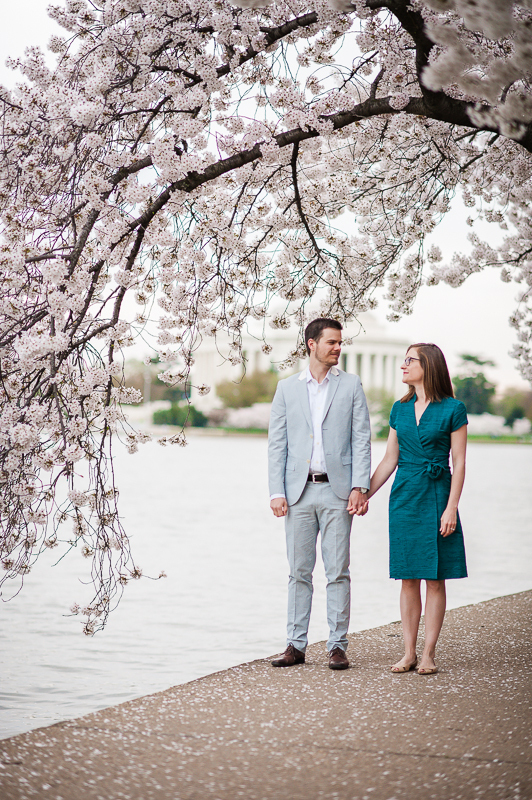 So I was ecstatic when Mercedes and Brad invited me to photograph their engagement session around DC's Tidal Basin with the cherry blossoms in peak bloom. 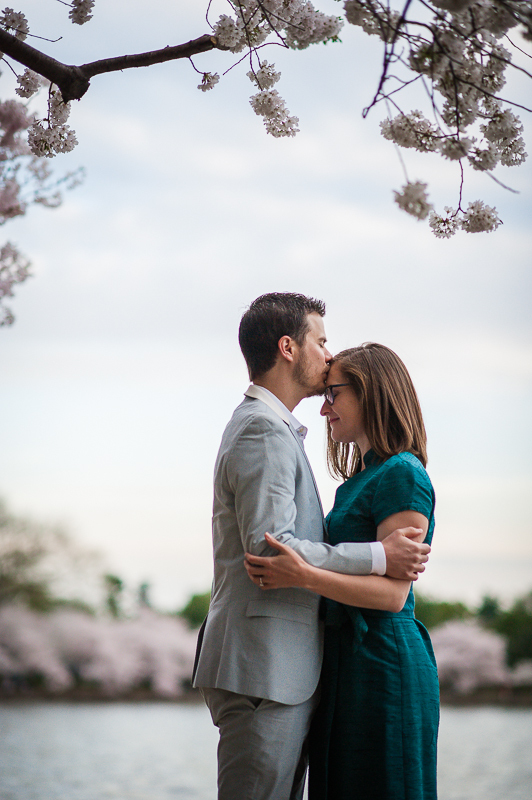 Cherry blossom season is considered one of the greatest attractions in the DC area, it's truly spectacular. Thousands of people from all over the world come for a chance to witness peak bloom. The throngs of visitors make the logistics of shooting during the blooming period quite tricky. You need the right timing and a couple such as Mercedes and Brad who were up for the challenge. We timed the session for a low traffic day at sunrise and conditions were perfect. Here are a few of my favorite images from that picturesque morning.